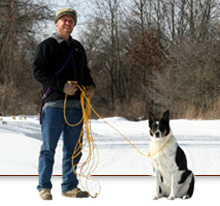 ← Five Things to Remember: When You’re Working With Your Dog. Probably the very first thing you are going to want to do with your dog it teach it to “go” in the appropriate place. Before you even get your dog or puppy you better think about what place that is. It could be inside or outside depending on what your living situation is, house or high rise apartment, the size of your dog, and your personal preference. My personal recommendation is that the dog should be trained to go outside if at all possible. Skip paper training your dog unless you want to keep them going on papers all the time. It’s just as easy to take them outside to go than to have them go on papers only to have to retrain them to go outside. Your dog is clueless when it comes to potty training. You are going to have to get him to understand what you want him to do and it’s pretty simple if you are willing to spend time with your dog so you can recognize when he’s got to go. The other thing you should do, in my opinion, is to get a crate for your dog that is not too big. Get something that is cozy that she can feel comforted in and just barely stand up in. You may have to get a few crates if you get a puppy as they grow and you don’t want a crate that is too big. For the dog owner the point of the crate with potty training is to keep the dog confined so that accidents are less likely to occur and isolated to the crate if they do occur. I’m not saying keep your dog in the crate all the time, but if you can’t keep an eye on him and he’s not trained yet then he gets placed in the crate. It should feel like home-sweet-home to your dog. There are many ways to potty train your dog in a positive manner. You can find examples on youtube if you search carefully. We have a really good report available for you to help you potty train a puppy or an adult or older dog. At the moment it’s free but soon we’ll be charging a nominal fee for this excellent resource. Click here for the Free Report. Dog urine and feces smell bad, especially in your house. Your guest will think it’s gross that you encourage your dog to pee in the house. Getting outside is good for you and your dog. Taking your dog on a poop walk (bring bags to pick it up) is a good way to meet your neighbors and get some exercise. Dog pee outside doesn’t smell up your house inside. If you ever need to re-home your dog you’ll have a much better chance of finding a good home for him if he’s trained to go outside. 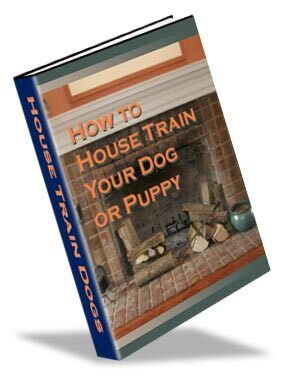 Click Here for How To Potty Train a Puppy or Any Adult Dog, regardless of prior failures. To be a good Ambassador for Dogs I am sending this information out to the universe in hopes that if finds people in need of help with their dog and motivates them to be persistent when working with their dog. If you ever had to give up your dog wouldn't it be good to know that your dog is so well behaved that ten people you know would jump at the chance to take your dog to their home. There are no bad dogs, just misunderstandings between humans and canines. Let's learn more about dogs.